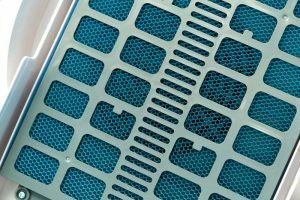 HEPA Air Filter Replacements - Industrial HEPA Replacement Filters | Air Purification Inc.
Any industrial setting can create loads of contaminants in the air that are natural byproducts of the production process. Over time, these contaminants will accumulate indoors, creating a setting that is dangerous to those who are working in the building and possibly even damaging manufacturing equipment. Luckily, most problems with air pollution can be remedied through the use of a high-efficiency particulate air filtration system or HEPA filter. A HEPA filter is a relatively simple system for filtering out air pollutants. It takes the form of a large block that is composed of layers of meshed fibers with increasingly thinner openings. As air runs through these fibers, contaminants are physically trapped within the filter, and clean air is blown out. All of these benefits make a HEPA filter one of the most appropriate filtration systems for an industrial setting. Using this type of filter will help ensure the health of employees and the overall safety of the workplace. In addition, it will help guarantee the lifetime of sensitive instruments and equipment that can be damaged by dust. The installation processes for an industrial grade HEPA system can be as simple as installing filters in existing air conditioning vents and units. Larger facilities will be able to use a large-scale machine that is specialized for filtration and can take in large amounts of air at once. The appropriate type of system required can be determined by those who are in charge of installing it. Our filters meet or exceed OEM filter requirements and OEM field performance while offering substantially lower prices as compared to the competition. If for any reason our filters do not meet your expectations, you can return it for full credit. Contact us today for more information!